When you invest in a home, you want to make sure that it stays structurally sound for many years to come. That is why it is important to keep an eye out for signs that there may be foundation problems. Foundation problems can happen because of several different reasons. Some of the causes of foundation problems are poor soil compaction, expansive soils, tree roots and other vegetation, and weak bearing soils. 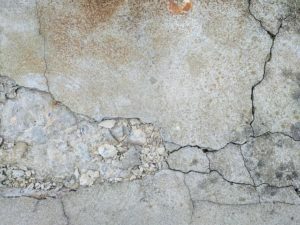 If you have any of these signs of foundation failure, it is important to contact us. We will have a foundation repair contractor come and inspect your home. Our foundation repair contractors use only the best products for foundation repair. These products are manufactured by Earth Contact Products (ECP), the top manufacturer of foundation repair products in the industry. The ECP products used for residential foundation repair are underpinning products such as steel piers and helical piers. These piers will keep your foundation stable for years to come. ECP products have case studies that have information regarding the application of these products. Earth Contact Products has built an outstanding reputation for providing the best foundation repair products for many years. ECP has the facilities to produce the highest quality foundation repair products. The sooner a foundation problem is taken care of, the better. Replacing a foundation is much more costly than the cost of foundation repair underpinning. Let My Foundation Repairs put you in touch with an ECP contractor to set a time for a free inspection. They will answer any questions you may have and will offer you the best solution for your residential foundation repair. Contact us today!